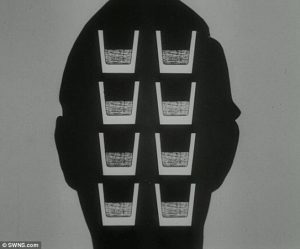 It’s 1964, a short, amusing, and fun black-and-white public information film flickers on to television screens across Britain living rooms with a novel message: “Don’t ask a man to drink and drive.” While no one has recognized it, this is a major turning point – the moment when drink-driving begins to lose its gloss of public acceptability. At the beginning of the summer, we talked about DWI statistics in North Carolina. If you aren’t familiar with DUI/DWI laws here in North Carolina please read that article for more information on the topic. Additionally, if you are unfamiliar with the arrest process we have written an article entitled 5 steps of dwi arrest in North Carolina. Now, let’s get to some history! The First Advertisement Was When? 1964! 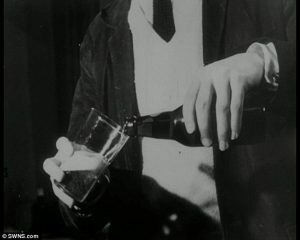 The first drink-drive campaign aired in November of 1964 and followed events after an office party. Sound familiar? Fifty years ago, millions were still routinely downing “one for the road” before getting in the car to drive home. Despite hundreds of deaths per year at the hands of a drunk driver, the film’s central message didn’t resonate. 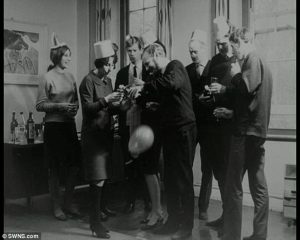 The first campaign we found after researching came in the form of a public information film set in an office Christmas party and followed the events thereafter. Also interesting to note is the assumption the driver would be a male. In 1967, 1,640 out of a total of 7,319 road deaths was associated with-drunk driving. In 2012, that figure was 230 out of 1,754 road deaths. 33 per cent of all drivers killed in 1979 were over the legal limit. In 2012, that figure was 18 per cent.